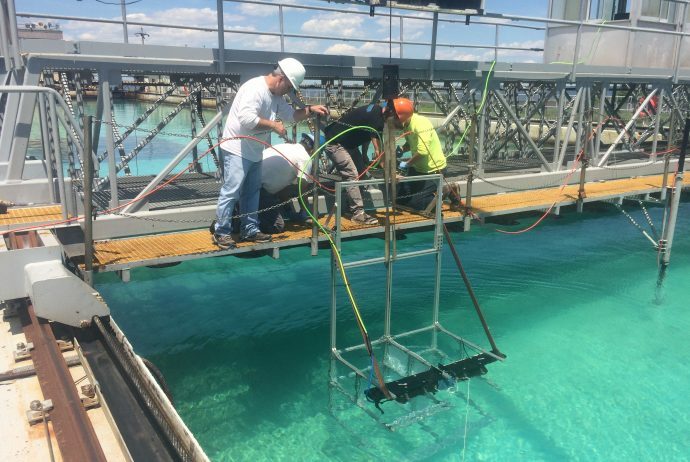 In northern New Jersey, on the edge of Sandy Hook Bay, the US Department of Interior’s Bureau of Safety and Environmental Enforcement operates the largest outdoor saltwater wave tank in North America. 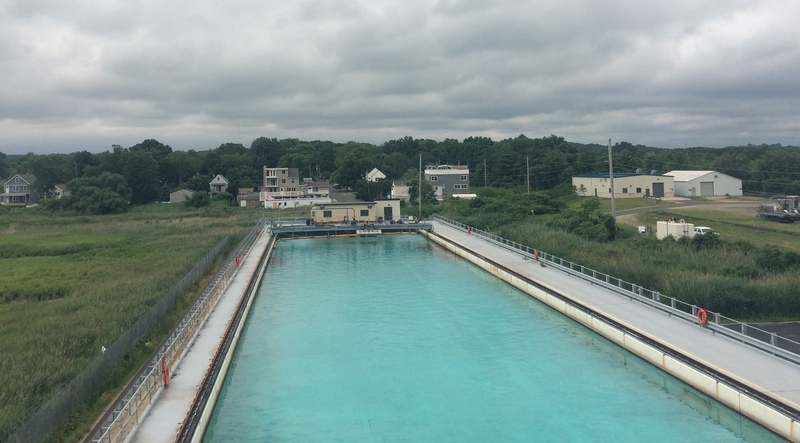 Ohmsett is a unique facility where full-scale oil spill response and research can be conducted in marine environment, with oil, and under controlled environmental conditions. 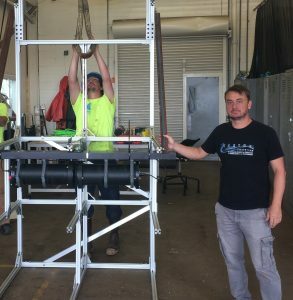 CARTHE scientists took their second trip there in June 2018 to participate in a series of experiments with collaborators from NJIT, University of Miami Rosenstiel School (UM), TAMUCC, and Canada DFO. The objectives of this experiment are to create an oil and gas jet flowing from a 1 inch vertical pipe and study the effect of the gas to oil ratio and flow rates on the oil droplets size distribution (DSD) and air bubble size distribution (BSD) near the orifice. 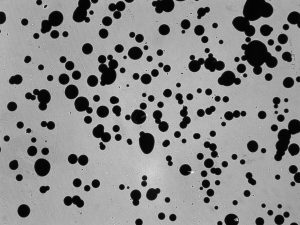 The transport and fate of oil from blowouts depend greatly on the oil droplet size distribution (DSD) that affect directly the residence time of the oil in the water column. All previous work on DSD were conducted in laboratories with jets coming out of small pipes due to the major logistical challenge associated with the release of large volumes of oil and gas. Recent work found that the Deepwater Horizon well discharge was possibly a churn flow, which is a type of turbulent multiphase (ie. gas + oil) flow that has critical implications on the oil droplets and gas bubble formation. This experiment set out to produce a churn flow discharge, only possible with a large diameter pipe and multiphase flow of oil and gas, and tried to measure the impact on the DSD and BSD. The experiments consist of releasing a mixture of oil and air from a 1 inch diameter vertical pipe and measuring the DSD and BSD with various instruments. The vertical pipe -transparent to visualize the churn flow regime- is preceded by a snake-shape discharge tubing that helps generate the churn flow by enhancing mixing and turbulence in the tubing. The whole discharge system is suspended rigidly from the main leading bridge, which can be towed at selected speeds to dilute the plume for better visibility. 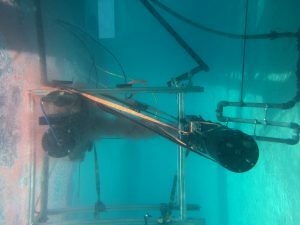 CARTHE/UM scientists Guillaume Novelli and Cedric Guigand contributed to the experiments the new CARTHE custom underwater shadowgraph camera system. 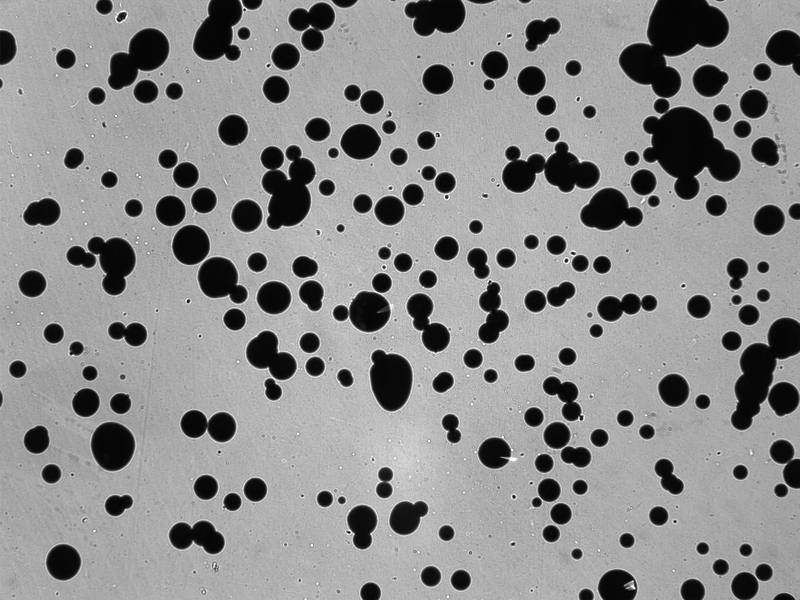 Developed by our scientists, it takes images of oil droplets and gas bubbles from an oil/gas plume in the Ohmsett tank during this week’s experiments. 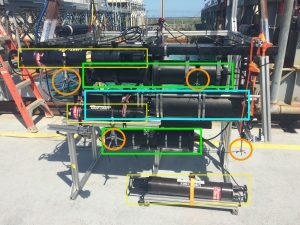 The camera captures images of the oil and gas released from the pipe while the platforms move across the 200m long tank. The images are used to count and size particles according to different flow and mix ratio of oil and gas to better understand how the plume evolves under different conditions. The size droplets may influence how fast the plume reach the surface. The whole observation/measurement system consists of two shadowgraphs, one holographic camera, and three LISSTs mounted on a frame anchored to the second (trailing) bridge at a fixed distance from the discharge point. The LISSTs can measure DSD from ~ 2 microns to 500 microns. The shadowgraphs and holographic cameras provide measurements from 300 microns up to 10 mm. The overlap between the instruments is necessary to provide a reliable estimate of the DSD. Each LISST is paired with a camera to measure the DSD at three different depths corresponding to the center, the lower edge, and the upper edge of the plume. Several tests were conducted to adjust the towing speed and distance between the bridges that ensured the plume was fully captured by the instruments. 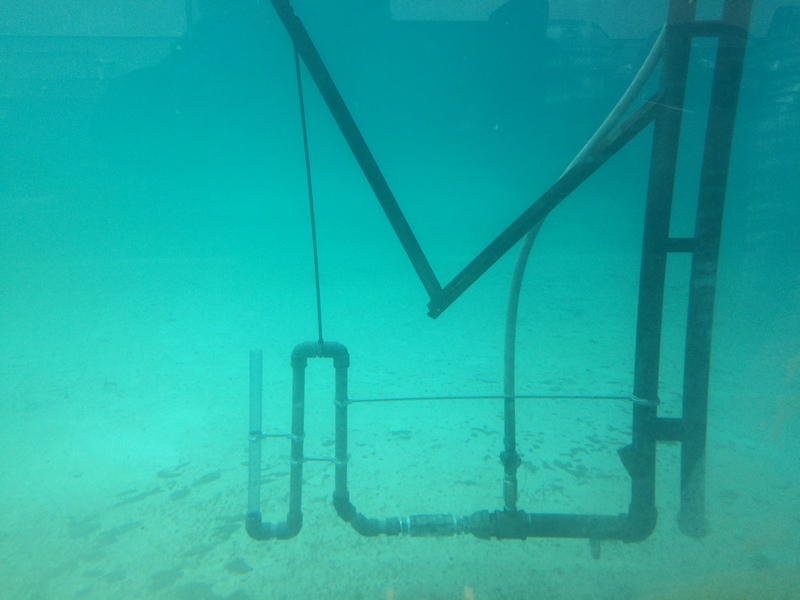 Below is a sample frame captured by the upper shadowgraph during an oil and gas discharge. Now the team is back in their offices analyzing the images to estimate DSD and BSD in each of the ~20 plumes released. Copyright © 2019 CARTHE Blog All Rights Reserved.